With 72 million Americans planning a foreign trip this year, credit cards providing up to 13 international travel benefits and 86% of people not fully understanding how foreign fees work, WalletHub released a report identifying the best cards to use. WalletHub also released the results of its 2018 Foreign Transaction Fee Survey, which provides insights into people’s attitudes toward and understanding of foreign fees. You can find highlights from both below. 96% of credit cards offer rental car insurance, while 86% offer travel accident insurance and 37% offer a form of luggage insurance. The best credit cards for international travelers are the Bank of America Premium Rewards Credit Card, Bank of America Travel Rewards and Barclays Arrival Premier World Elite Mastercard. 86% of people don’t fully understand when credit cards can charge foreign transaction fees. 82% think foreign transaction fees are unfair. 51% of Americans worry more about foreign transaction fees on credit cards than tariffs on Chinese imports. Two-thirds of people think credit cards should charge lower foreign transaction fees in countries allied with the U.S.
Capital One, Discover, USAA and Barclays are the only major issuers that exclusively offer no foreign transaction fee credit cards. Getting such a card, along with a no foreign fee debit card, enables international travelers to minimize the cost of currency conversion. With some of the busiest travel dates of the year fast approaching, CardHub has announced its selections for the Best Travel Credit Cards for Winter 2015-16 as well as key money-saving tips for people with both domestic and international itineraries. This gives consumers plenty of time to compare, apply and add as much as $625 in savings to the windfall already provided by cheap gas prices and falling airfare rates. Here is a sample of its picks, chosen from more than 1,000 total offers given their unique ability to produce travel-borne savings. 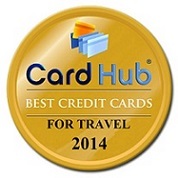 CardHub.com, a leading credit card comparison website, announced its picks for Best Travel Credit Cards for Winter 2014. “While American wallets are getting a bit of a break these days thanks to low oil and gas prices, a volatile stock market and economic growth concerns are likely to send consumers searching for deals. Initial rewards bonuses, in particular, have displayed impressive and continued growth in the post-Great Recession environment. It is now possible to get $400 cash, a couple of free flights, or weeks of free hotel nights just by opening the right new credit card. CardHub compared more than 1,000 credit card offers (some are CardHub advertising partners) in order to identify the most rewarding cards for winter and holiday travel. With Americans spending $53 billion every year on winter-related travel and gear and nearly a third of them planning to increase their leisure travel spending in the coming months, a leading personal finance social network, WalletHub, conducted an in-depth analysis of 2014’s Best and Worst Cities for Winter Holiday Travel. This study supplements the money-saving reports on Currency Conversion and Best Travel Credit Cards available through a sister site, CardHub. In anticipation of the holiday season, WalletHub identified the best and worst winter travel destinations and departure points, based on 16 different metrics such as airfare costs, flight times, the number of flight connections and hotel costs. The best overall points of departure are Atlanta (GA), Metrolina, Miami (FL) and Greater Twin Cities. The average international flight to a popular destination costs $2,318, takes 18 hours and has one connection. The average domestic flight to a popular destination costs $1,056, lasts a little more than 7 hours and has 0.66 connections. Despite LAX being the third-busiest airport in the U.S., California cities average a dismal ranking of No. 43 in terms of international travel affordability. This can be attributed to the popularity of European and Caribbean vacations over Asian getaways among U.S. winter travelers. Atlanta (GA) is not only home to the busiest airport in the U.S. but also the most affordable East Coast departure port for winter travelers. It ranks No. 1 in terms of domestic flight affordability, No. 2 for international affordability and No. 1 overall. 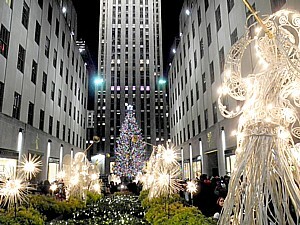 Of the top 10 most popular winter destinations on our list, New York ranks as the No. 1 domestic destination, whereas Maui (HI), ranks last. For foreign destinations, Riviera Maya, Mexico, snags the top spot, while Sydney, Australia, falls to the bottom. CardHub.com, a leading credit card comparison website, announced its picks for Best Travel Credit Cards for winter and holiday travel. A leading credit card comparison website CardHub.com announced its picks for the Best Travel Credit Cards for Spring & Summer 2014. For more complete information, visit http://www.cardhub.com/best-travel-credit-cards.